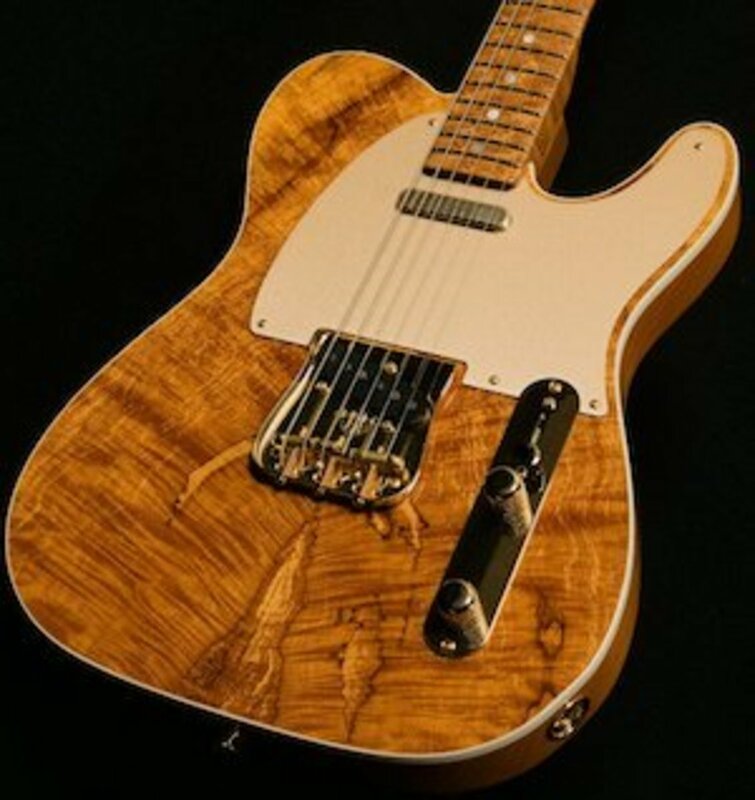 AA, AAA or AAAA—What Does It Mean on Flame Maple Top Guitars? 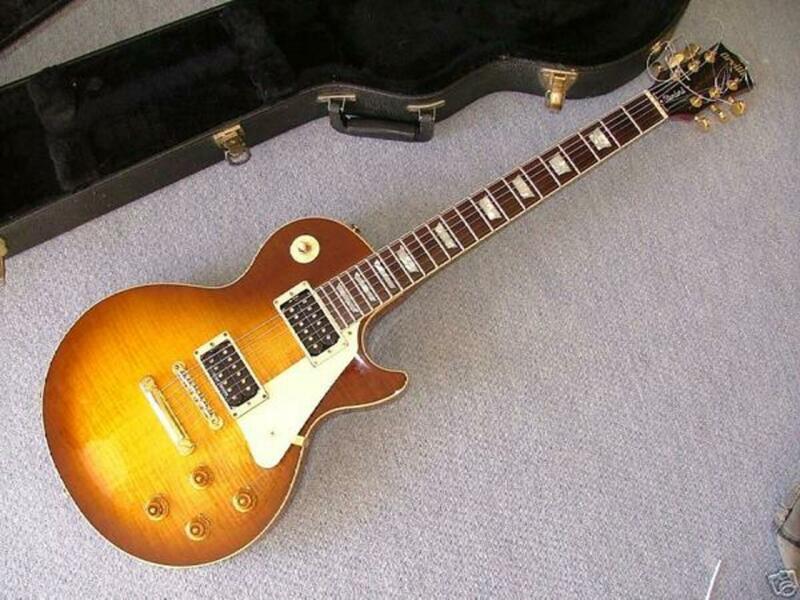 Many models of guitars (Most gibsons), have a maple top/cap on the top of the body of the guitar. This is often made of two matched pieces of wood which meet down the middle of the guitar. 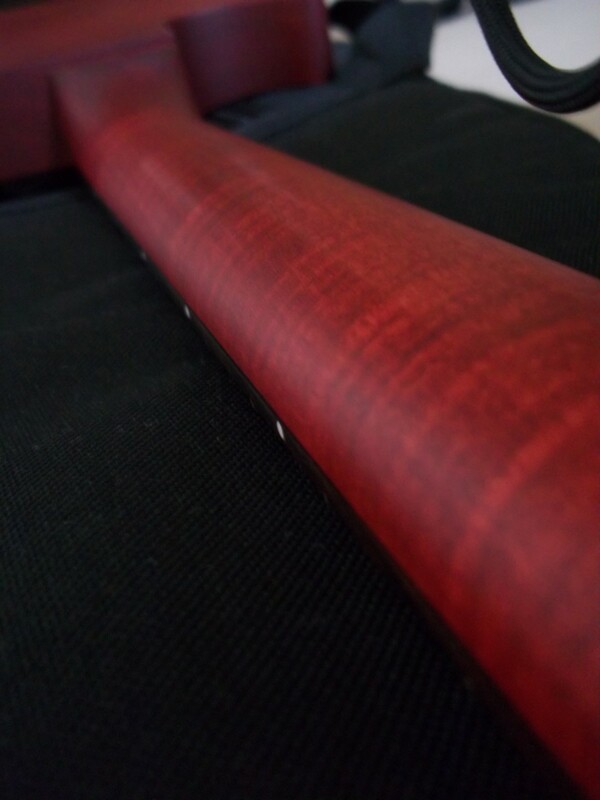 Some guitars such as epiphones have a very thin Veneer of maple, whilst others have a full layer. This layer of maple is often said to improve the resonance and "tone" of the guitar, and also giving a slightly snappier sound. These maple tops are often advertised as having different levels of figure when being sold, commonly they are referred to as having AA, AAA, AAAA or even AAAAA tops. However what do these names actually mean? Firstly however lets discuss what maple flaming actually is. The flaming you see on the guitars is just one type of figuring that maple can have. Depending on whether the figuring of the wood is radially, vertically or horizontally (or a combination of them) the wood may also be Quilted or Birdseye, these have their own unique look. Flame Maple is the most commonly used, however. Disease of the wood—Maple figuring isn't part of the grain and only seems to happen sporadically in different tree's, thus it is thought that figuring and flame in the wood may be a disease in the wood that causes these irregularities. Wind—Trees that live in an environment where they are put in stress left and right means that they are more likely to have strong figuring. Mineral deposits in the wood of the tree—depending on the exact soil the tree is growing on then it will deal with these minerals differently. Strongly figured maple seems to grow in all areas/climates where Maple grows, however, is just more common in some rather than others. Maple grading isn't only used in guitars, furniture companies that use maple also grade their wood for the same reason that guitar companies such as Gibson do. The companies that supply the wood also grade the Maple to assist those buying in finding what they want. All of these use the multiple A's system—however, each different use puts different weight on different properties. To guitar builders, they have different priorities to the suppliers or to furniture producers. When a guitar is sold the grading isn't just the grade of the wood, it is the grade of the overall top. 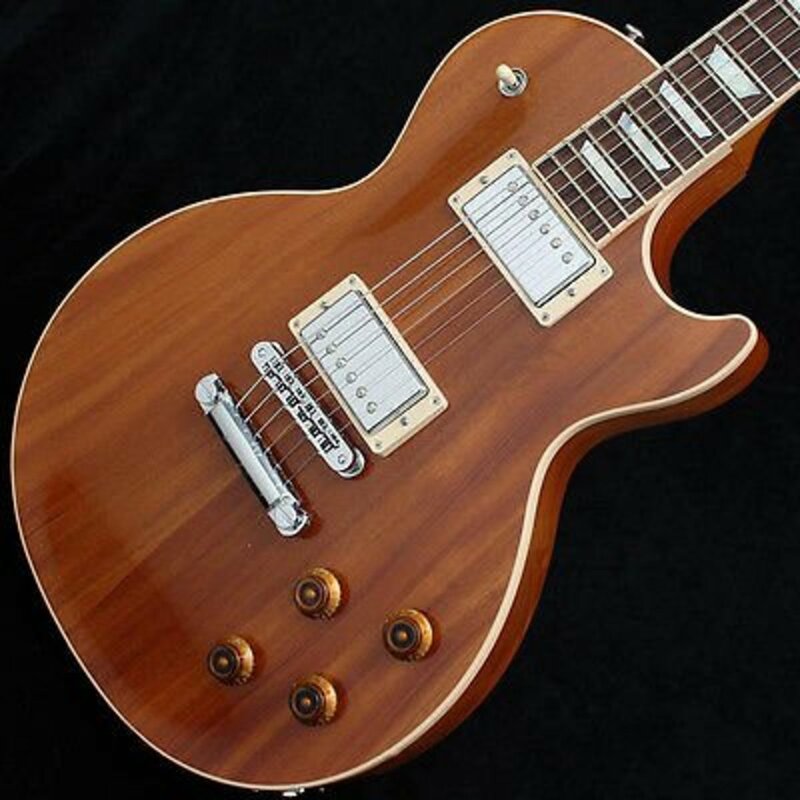 For example when Gibson build a Les Paul with a flame top they "book match" the two sides, this means that if both sides were very nicely flamed however didn't match very well then the grading may be lower. Sames goes with two pieces of wood that are less flamed however go together very nicely. This means sadly that it is very difficult to give a solid definition for each grade of wood, which is what most people want when they are looking into the grades of wood used in guitars. Also depending on the person what they think means "good figure" may differ, some maple may have lots of these flames close together. Some maples may have fewer flames, however, these flames are deeper. Which one is better is completely objective. AA flame tops are nice, they are the standard flamed maple top. Normally they are the lesser flamed ones that are nicely matched or the very flamed ones that are not perfectly matched. AAA flame tops are very nice, they will take your breath away. Commonly they are very flamed and have good matching on both sides. AAAA/AAAAA flame tops can be either a marketing exercise or a stunning top depending on the exact top. 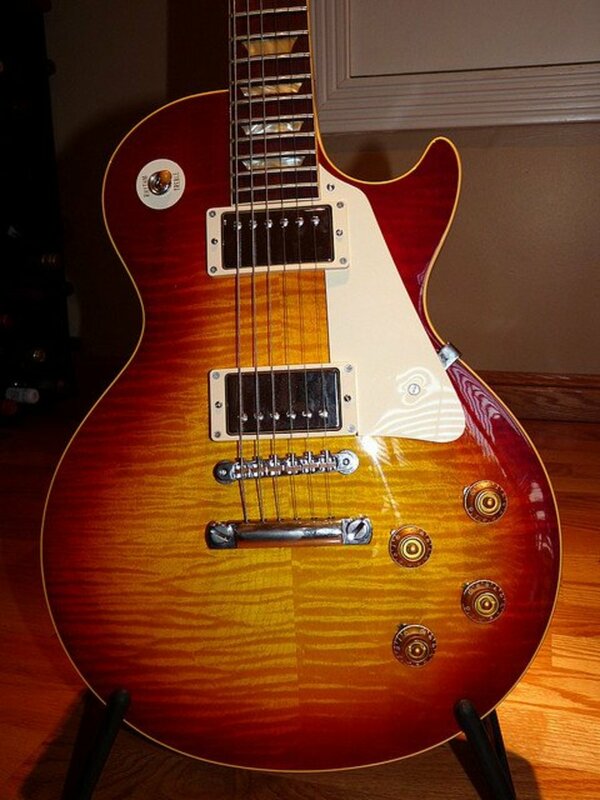 These tops should be the "one of a kind" tops that only come along ever so often, however when Gibson or other companies use these tops on production models they are now requiring themselves to have a certain number of these "one of a kind" tops. This may cause the companies to push nice AAA tops up into this band to fulfill their orders. Every maple top is different, that is what makes them so amazing, you will own something that is unique looking. Thus grading these tops is difficult and can seem inconsistent. 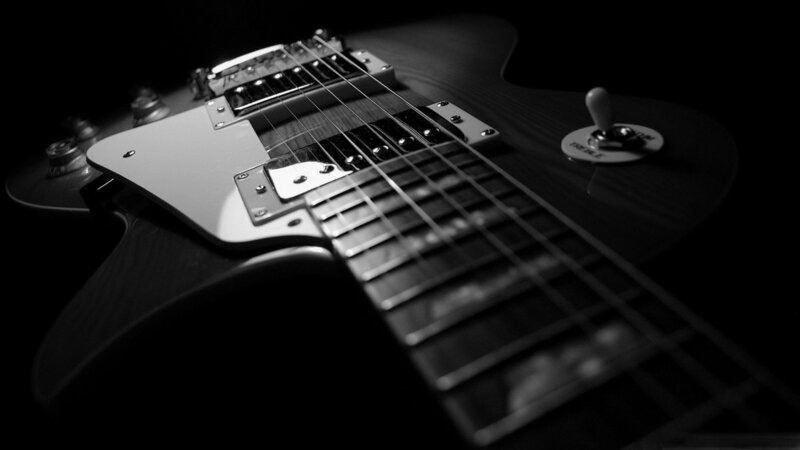 If you are spending the money to buy a guitar with one then make sure you have a look at the top yourself before buying, that way you can be happy with exactly what you will receive. What makes a nice top is a lot down to opinion so don't leave it up to someone else to decide what you want. 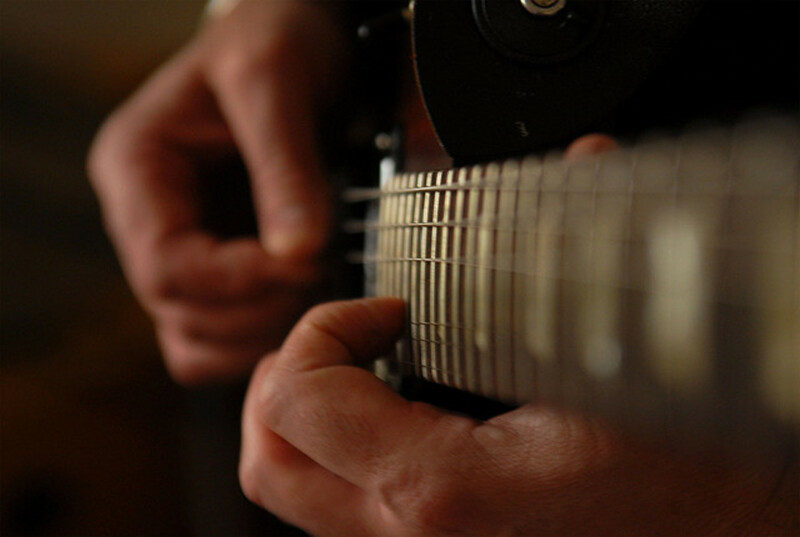 Hope you have found this overview of guitar flame maple top types useful. 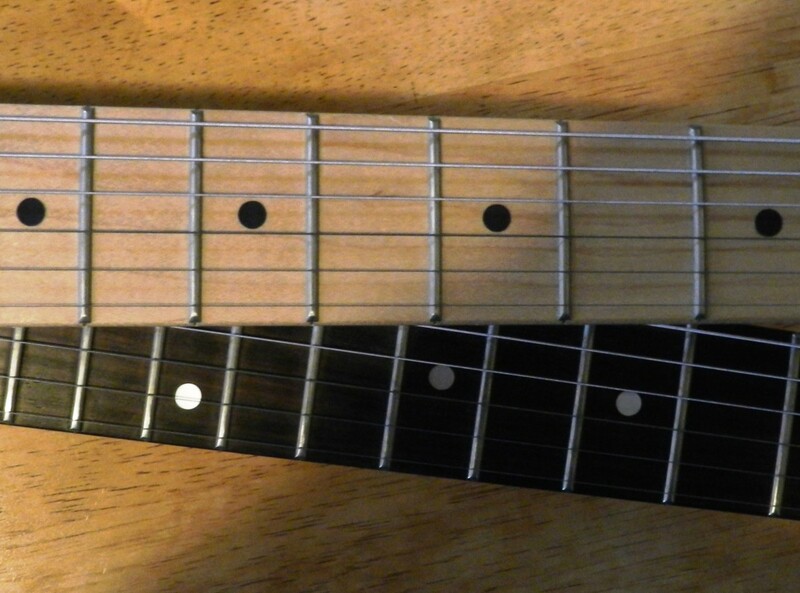 Maple vs Rosewood Fretboard: What’s the Difference? The Great Electric Guitar Tone Wood Debate: Solved! Thanks for information I like the comment on the end, many of the experts on guitars likely have not owned any Gibson's mine is a 2003 from Nashville, when I bought it was advertised a AAA but I found out its a AA desert burst studio I have not seen any AAA or AAAA as nice as mine, maybe they do have the binding, I have eleven guitars nothing will even touch my 2003 desert burst with tone.